Hailing from the state of Madras herself, Sridevi was originally South Indian, something that was a source of inspiration for many South Indian actresses trying to make it in the mainstream Hindi Film Industry. She was also the very few South Indian actors that have been able to bridge the gap between North Indian and South Indian celebrities working in the industry at the time, and was heralded as the epitome of South Indian pride at many points during her career. One of her many South Indian fans can be heard recounting her own sense of inclusion seeing Sridevi on the big screen during childhood, on this Podcast. With a Lawyer father, and a mother who accompanied her to all her shootings for years, Sridevi seemingly had a very normal upbringing, which comes off in many of her interactions, as recounted by well-wishers on social media the last few weeks. Sridevi was appreciated off-screen for her down to earth personality, infectious smile, and naturally introverts personality. Something that completely transformed in front of the camera, for roles like Mr India, Chaalbaaz, or Lamhe where she’s played feisty firecrackers. Sridevi consistently broke tradition and conventions by appearing in and succeeding in the many industries she debuted in. With each subsequent success came more box office hits, critical acclaim and name recognition. 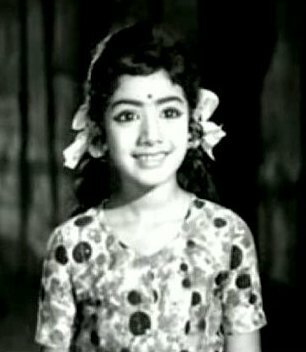 Starting at age 4, and until the age of 54 at the time of her death, Sridevi had appeared in 300 films in 50 years.